If you are searching for “Pole Signs Phoenix”? 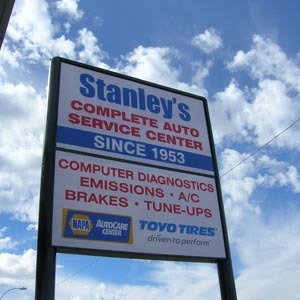 Arizona Commercial Signs can help! Pole signs stand tall and make it easy for new and repeat customers to find your location. For pole signs in Phoenix, give us a call us today at 480-921-9900 or use our convenient contact form and send us a brief inquiry. 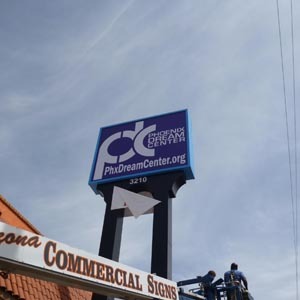 If you need help with pole sign design, fabrication or installation in Phoenix, Arizona, look no further than Arizona Commercial Signs. Pole Signs are outdoor retail signs that are mounted to a pole or other freestanding structure. Pole signs are generally higher than 10′ and as tall as 100′. Freestanding sign structures like these are used to identify storefronts as well as shopping centers and their occupants. Pole signs are usually internally illuminated for the best visibility at night. 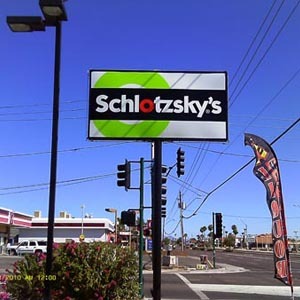 Arizona Commercial Signs offers a multitude of services for pole signs including; new pole sign fabrication, pole sign design, pole sign maintenance, repairs for pole sign outages, and more. Our pole sign installation equipment and team can handle everything from the smallest and simplest interior pole signs, to the largest most complex projects that require cranes. We will professionally install your pole sign(s) in a timely manner anywhere in Arizona. Our fleet of service trucks and personnel handle a wide range of service requests from servicing a single sign to maintaining complete shopping centers. Our trucks are fully stocked and ready to repair any outage the first time without the need for costly second trips and travel time. Because of our experienced maintenance department, your signs will retain their beauty and value for years. Call us 480-921-9900 for excellent service at competitive prices. At Arizona Commercial Signs, our pole sign structures are beautifully designed to match the motif of the building or shopping center where they will be installed. These illuminated signs can also identify several tenants on the same sign, as all of our pole signs are custom built for each client. Large pole signs are ideal for use near a highways and freeway off ramps to grab the attention of people visiting or driving through the area. 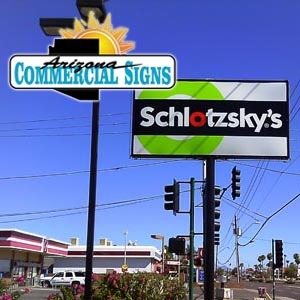 At Arizona Commercial Signs you will find a full-service sign company, specializing in design, manufacturing, installation, and maintenance. Schedule your design consultation for pole signs in Phoenix, by giving us a call at 480-921-9900. If you are searching for “Pole Signs”? 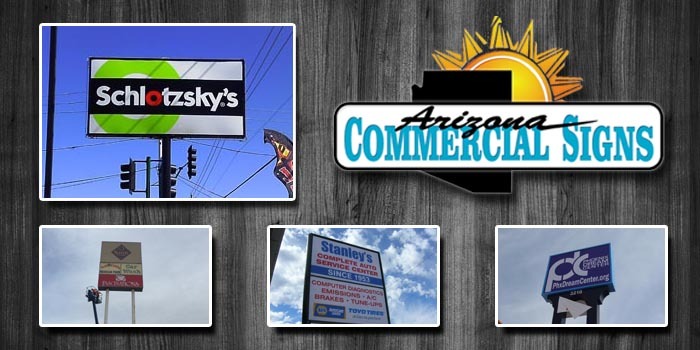 Arizona Commercial Signs can help!